Warren Bobrow announces his new book Whiskey Cocktails and tells how he came to write it. Known as The Cocktail Whisperer, Warren’s vast knowledge of cocktails has spawned a previous book, Apothecary Cocktails, and over 300 articles on food, wine, and cocktail mixology. As our guest blogger, we get a peek inside Warren’s musings about whiskey, spirits and food. Enjoy! My influence for writing Whiskey Cocktails is one of a most circuitous nature. Whiskey has rough and tumble roots for me. Initially I looked at whiskey as something that was rough and harsh across my palate. I wasn’t a whiskey fan until a couple of years ago. Rum was more my forte, I was a rum judge for the Ministry of Rum in 2010. I also wrote about food, and, of course wine. It’s very tough to make a living being just one more voice in the room of food writing or even wine writing. Coincidently, many of those rums that I was starting to enjoy became even more intriguing for me. Through research, I found that many types of rum were aged in used bourbon barrels. Perhaps that flavor of char and smoke was more a part of my taste buds than I initially allowed? It’s funny for me, when I think of the wines that I grew up with at home — the ones that were on the our dinner table — Left Bank, Rhone, Loire, all use casks that speak clearly of the place. There was a flavor to each sip. Something unique and profound was taking place at the same time in my education. I traveled across Europe, Africa, and South America, always tasting, memorizing and trying to figure out flavors of intoxicants and food. The same holds true for whiskey. The casks that go on to give other liquors unique qualities, characteristics and above all terroir may be from whiskey! There is a certain cadence to whiskey and in the broader metric, craft sprits. They are not always great, but they certainly are passion in a bottle. It might be a small produced wine, organic and Biodynamic that reminds me of whiskey, the flavors of stone fruits and caramelized nuts. Or vice versa. There are creative interrogatories in all forms of intoxicating beverages. I’m very fond of food when I taste whiskey or any spirits for that matter. If I taste rye, I want a sandwich like a Rueben, piled high with briny and smoky corned beef or pastrami on seeded rye. Whiskey just calls out for food that speaks to me clearly. Whiskey Cocktails, is my second book. My first book, Apothecary Cocktails takes the tack of what you took for healing in the years before electricity and refrigeration. How folk healing remedies may have been little more than snake oil, but what a wonderful way to heal what ailed ye! 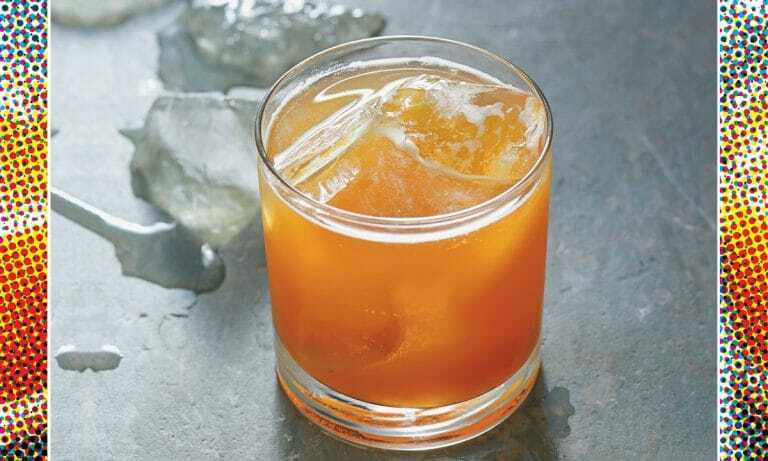 Whiskey Cocktails explores the liquor from a stylistic approach — Scotch, Bourbon, Rye, Alternative Grains, Indian (India), Japanese, French, Tennessee Sipping Whiskey, White Whiskey, etc. even cooking recipes! In a former part of my life, before I was in the corporate world, I was a trained chef. This formal training comes in handy for the mixology business. It’s all about flavor and combinations of flavor. I invite you to peer into my mind, one sip and word at a time. There are some marvelous things in Whiskey Cocktails. Others have said that this book is a new Classic. I’m not sure, I’d rather be humble than a know it all. As I said, I’m new to whiskey and I’m lucky to be here, surrounded by and growing to be respected among my peers as a member of the table. If they only knew the path I took to get here! Whew! I invite you to purchase Whiskey Cocktails and if you haven’t already, please consider Apothecary Cocktails as well. Next PostNext My second book is shipping now!